The November system update is upon us and with it comes one of the most requested features for the system. 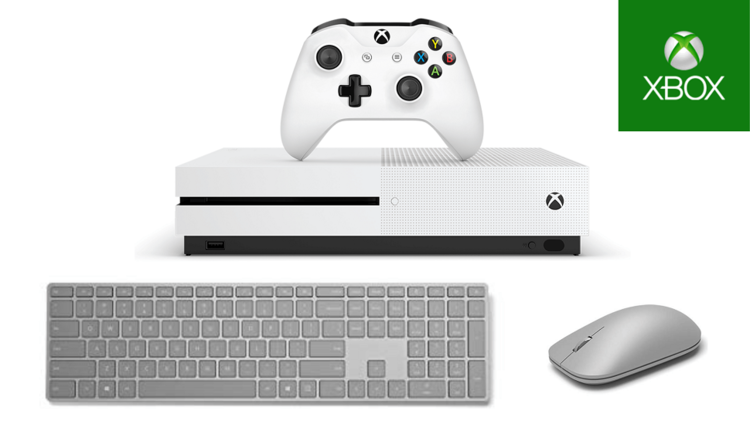 That’s right Mouse and Keyboard support for Xbox One is officially here! First officially revealed back in September, users were treated to the first list of 14 compatible titles last week at XO18 including Fortnite, DayZ and Warface. For anyone concerned about having to play against players using Mouse and Keyboard fears not. Players will be matched according to their input method to ensure continued fair gameplay. Microsoft has also announced a partnership with peripheral maker Razer to bring a premium Mouse and Keyboard experience to Xbox. Next up is the release of the Amazon Music app! Prime Music subscribers can now listen to their favorite playlists, radio stations, and more than 50 million songs! Normal Prime Users have access to streaming more than 2 million songs as well! The search across Xbox has also been beefed up, Pulling info from Xbox Assist, EA Access and the ready to install tab will allow users to find what they want more efficiently! The last inclusion with this months update is expanded Cortana commands and Alexa integration. Users can expect to see more security with this update. Along with this comes the Alexa beta for the U.K.!